"We Assist in Filing Insurance Claims, Have Expert Witnesses and Engineering Services"
At Imperial Roofing/Trinity Builders, we know choosing a roofing contractor is a tough job. Let us make it easier. Simply pick up the phone and call! We'll be happy to answer any and all of your questions, and once you are ready to move forward, we will be happy to provide a free written quote. With our offices in Hallettsville, roofing services are provided in the area between San Antonio and Amarillo, TX. Imperial Roofing/Trinity Builders has been providing roof installation in the Victoria, TX area since 1988. With each new residential roofing project, we strive to provide professional, timely service at a fair price. We are happy to provide a quote for your exact Hallettsville roofing needs. Whether you need to replace a flat roof or a shingle roof in the Port Lavaca area, Imperial Roofing/Trinity Builders can get it done at a fair price. Give us a call to hear about our current specials and you'll speak with our owner, David Van. 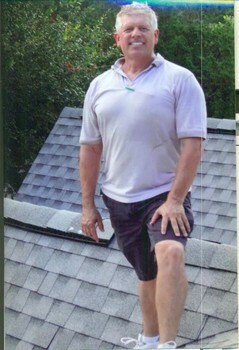 He's been roofing Texas since 1988! For home owners looking for residential roofing in or near Hallettsville, TX, Imperial Roofing/Trinity Builders's trained roofers have years of experience in doing the job right. If you are experiencing problems with broken roof tiles, a leaking roof or leaking around skylights, we can fix it! Imperial Roofing/Trinity Builders is experienced in installing many types and styles of roofs, and can match the architectural style of your building and your own personal preferences. We would love to work with you and recommend the best choice in roofing for your Hallettsville area home. Imperial Roofing/Trinity Builders: Roofing that you can trust!